Thrilling action role playing game, Confrontation, lets you lead a Griffin Elite Squad in missions through the territory of the fearsome Scorpion creatures, the terrible Wolfen packs, or the brutal Bran-Ô-Kor Orcs. Along with a perilous solo campaign and numerous secondary missions, recruit Elite warriors that will fight by your side and build the best squad to complete your mission objectives! Each of your warriors has its own unique characteristics. Earn experience, level up after battles and improve the weapons, armor and spells of your team. Get to know your enemy, anticipate his actions and exploit his weaknesses! Good management of your units and of their spells will be paramount to your success. 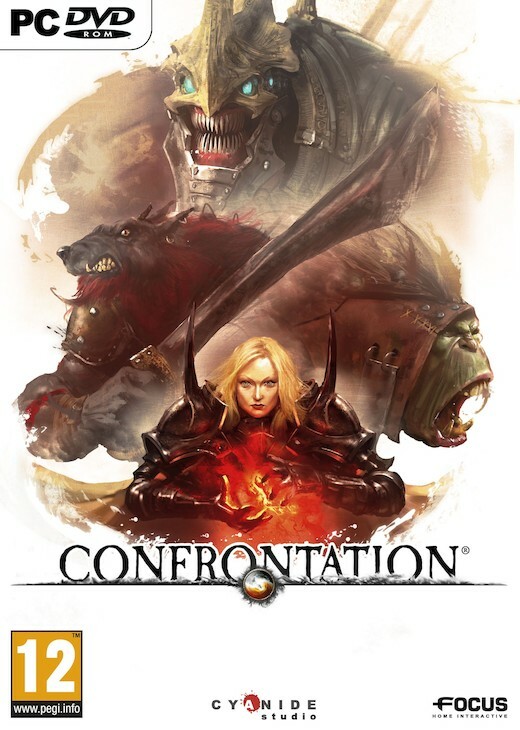 A video game adaptation of the famous Board Game, Confrontation is a tactical role-playing-game, that showcases intense and strategic combat. In multiplayer mode, take the command of one of the four factions, and challenge players from all around the world in bloody online combats. Climb the worldwide rankings and become the master of Aarklash! To promote Confrontation and grow its popularity (top games), use the embed code provided on your homepage, blog, forums and elsewhere you desire. Or try our widget.